Hiya everyone, This month at Ecclectic Ellapu the Purple teams theme is Leaves/Foliage. 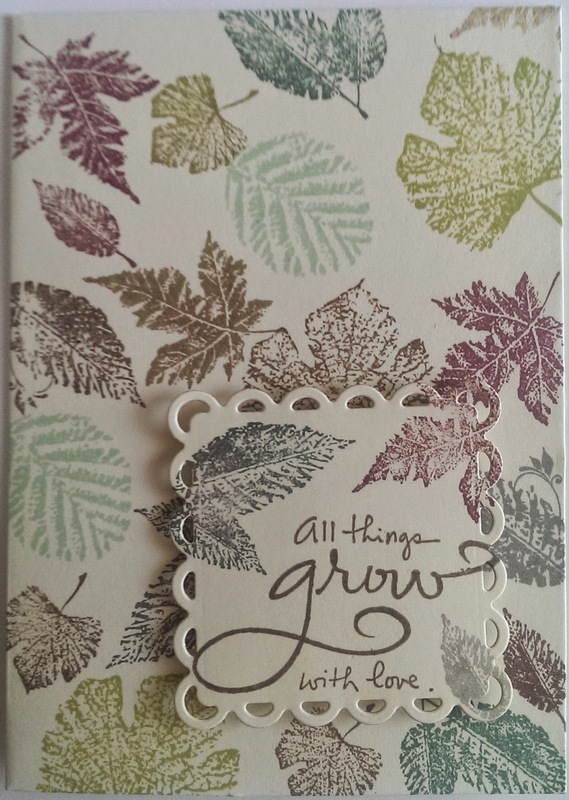 I have had this great stamp set from Cloud 9, called Leaves, for years and it was still brand new in it's packet lol. So basically as you can see I stamped a pretty much random scattering of leaves about using Archival Inks in Viridian, Potting Soil, Library Green, Watering Can, Plum and Leaf Green. It doesn't show to well in the pic but I didn't clean my stamps in between each colour which in some cases made whole new colours and in others gave a nice mottled effect.